Heath Ledger was a talented young actor, starring in films like Brokeback Mountain, The Dark Knight and The Patriot. He was for nominated an Academy Award for Best Actor for Brokeback Mountain and won for Best Supporting Actor for The Dark Knight after his tragic 2008 death at age 28. 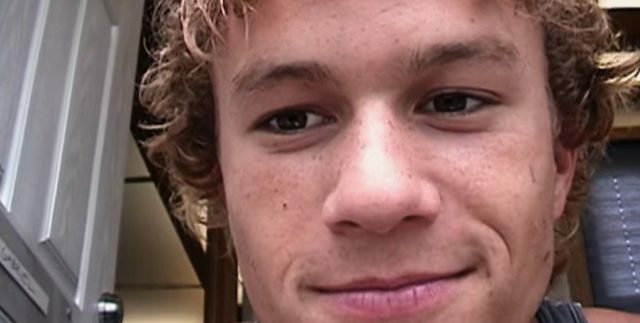 A new documentary called I Am Heath Ledger, from critically-acclaimed filmmaker Derik Murray, Network Entertainment, and Spike TV, will air on Spike on Wednesday, May 17, 2017. This follows its World Premiere at the Tribeca Film Festival on April 23. You can take a look at the trailer from SPIKE below. The film will receive a limited theatrical nationwide release on May 3 with Fathom Events. Tickets and more information are available at FathomEvents.com. I Am Heath Ledger will also have a Digital/DVD release from Virgil Films on May 23. The film features interviews from those who knew Heath best, including close friends, family members, and industry peers, such as actors Naomi Watts, Ben Mendelsohn, Djimon Hounsou, and Emile Hirsch, directors Ang Lee and Catherine Hardwicke, musicians Ben Harper, Justin Vernon (Bon Iver), N’fa, and Grace Woodroofe, and the Ledger family. I Am Heath Ledger recounts his fabled rise to the pinnacle of the Hollywood dream and the indelible mark he left. Not only did he cut a path for himself, but Heath often championed other talents and artists whose voices he thought deserved to be heard. The documentary also showcases his most memorable moments on screen from his beginnings in Australia to the heights of his Hollywood achievements. Check out the trailer below and let us know what you think. Leave us a comment or tweet us @ComingSoonnet.